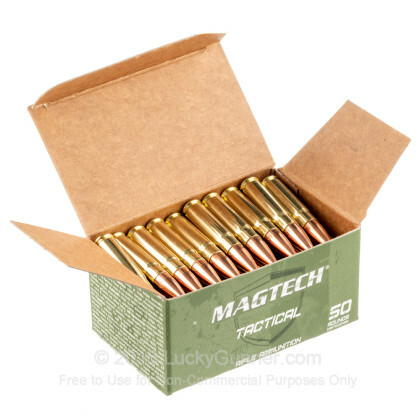 Magtach First Defense ammunition is a high quality choice for your 300 Blackout rifle. 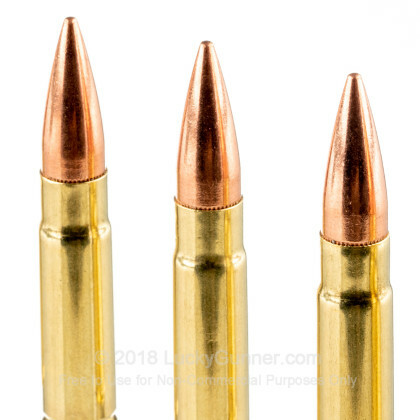 These rounds are loaded into boxer primed, new production brass cases that are re-loadable. Each projectile in this case of 500 is a 123 grain Full Metal Jacket (FMJ). 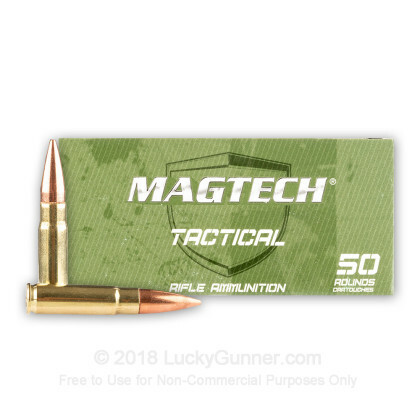 Magtech's First defense line of ammo is designed to give shooter a very reliable and high quality option for training and defense purposes. By following strict quality control processes, Magtech produces reliable ammo that is also consistent from lot-to-lot. In 1990 Magtech was established as the commercial brand of CBC. The CBC Group consists of four major ammunition manufacturers: CBC, MEN, Sellier & Bellot, and Magtech. Magtech's ammunition is made in Brazil and is exported all over the world. 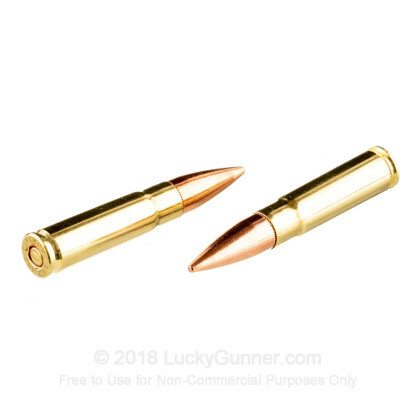 Pick up this case of high quality 300 AAC Blackout ammunition and get out to the range soon! This is over 50% cheaper than what my local range sells their cheapest 300blk for. No failures to feed with 100 rounds through my AR so far. Might just have to add this pack to every other order to build up a small supply. Great range ammo. Clean and has very good quality. Can't beat this bang for the bucks. Just ran 300 rounds of this stuff out of my Sig Virtus PSB. No a single problem. Excellent value and as accurate as one would expect from an FMJ round. Will definitely purchase again. 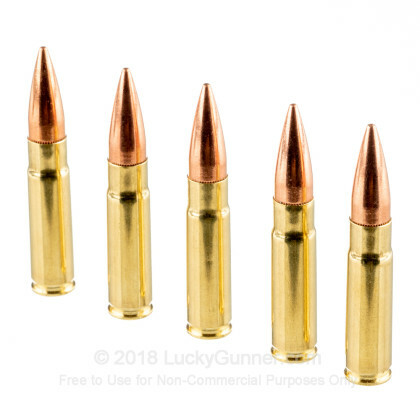 Great Range Ammo at an excellent price. I've purchased over 1000 rounds, haven't had a single issue with it. Will buy again! I bought this Magtech 300 Blackout for range fodder. It works great. No failures after about 250 rounds. Same great service as always from Luckgunner.com. Q: What are the specs on this - fps, muzzle energy? A: Hello Michael, I appreciate you reaching out to us about that ammunition! The listed muzzle velocity of this round is 2230 fps with a muzzle energy of 1352 ft. lbs. 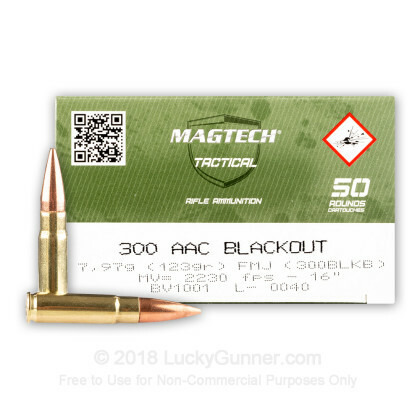 We also have this 300 AAC Blackout - 123 Grain FMJ - Magtech First Defense - 50 Rounds ammo in stock in a smaller quantity.